Viral marketing got its name from acting like a virus. Spreading from one person to another at a rapid pace. Would you want your content to spread that way? I would definitely love to. Let’s take a look at some viral marketing examples. On 2012 Dollar Shave Club uploaded their ad featuring one half of their founder, Michael Dubin presenting their company and products package with a poised air paired with some outrageous actions. The video went viral in an instant and helped secured 12k of orders in the first 2 days it went online. By 2018 the video has accumulated 25 million views on YouTube and remains one of the first things to pop up whenever someone mentions viral marketing. The ad itself is straightforward enough. Michael brief the audience about what the company does and encourage the audience to try out their product. However, it is presented in a humorous and exaggerating way. That is why it has garnered so much attention. Their tagline “Our blades are f***ing great” was also refreshingly blunt and honest. To sum it up. The ad is refreshing, blunt and wacky. The products sound good enough and don’t make a dent in your wallet. People are convinced to give it a try. BAM! Business. This is the first ever movie to went viral before we are even aware that a movie marketing campaign can go viral. They created a mystery, an urban legend that lure the crowd in. They are so successful in creating the illusion that instead of a film, it’s an actual found footage that they sparked a debate on the topic. A couple of websites were built to fuel the background story of the Blair Witch and the characters who went missing. To make it more believable, they even passed out flyers encouraging the public to report to the police if they come across any information regarding the missing characters. Due to its successful campaign, the movie grossed $250 million worldwide over a $6 million budget. The movie itself became a cult favorite and has a big loyal following. The key to success of their campaign is they have sparked questions. Is this a movie or a documentary? Is the Blair Witch real? Where are the actors? People got so involved because of the sense of suspension that they rush to the theatres to get their answers. Red Bull is known for their association with an active lifestyle and extreme sports. But they are also not afraid to get a little comical along the way. One of their biggest events is the Red Bull Flugtag, first started in 1991 in Viena. Flugtag means flight day in German. Participants would try to launch their homemade aircraft from a pier into a body of water. More often than not, they fail to do so. But, the main point of the event is not to have a successful launch. Instead, participants would rack their brains to come up with the most outrageous and eye-grabbing air crafts. The main selling point of the event is entertainment. People laugh their hearts out at the epic launching failure. The viewers are happy. The participants are happy. Everyone remembers and associates red bull with this happy memory. They’ll be more likely to grab a can of red bull the next one they saw one in the chiller. The main point is, they created an event where everyone can participate and everyone can get a good laugh out of it. Extreme sports don’t have to always be grueling and keep you off your seats. Getting your product associated with a funny and happy memory will never be a bad idea. Now that you have seen some viral marketing examples, let’s see how they can affect your business. When people are intrigued by your content, they will share it on social media. Via the shareable link, the audience would link back to the page of your content thus generating traffic. The more viral your content goes, the more traffic you’ll gain. Traffic means exposure and visibility. Let’s look at Dollar Shave Club again, they are literally a freshly launched company that came out of nowhere. But thanks to their viral ad, they gain a ton of traffic. People actually notice them and got the company and their tagline engraved into their memory. Exposure is especially important to a startup. Putting your name out there and got people to know about your brand could be a long and gruesome battle. But, if you got a campaign going viral, you can get a explosion of recognition. When people recognize your brand they are more likely to buy your product. People come back to a good content again and again. While your marketing campaign is going viral and being shared everywhere, you want to make sure that people would visit it again and again. A good example of this is the Red Bull Flugtag, people would search for videos of the event when they want a good laugh. Thus creating a constant traffic and help build brand image and recognition. If you run a blog on your company website, creating a good, informative and fresh piece of content also has the chance to go viral. A good piece of content may not go viral among the general public like a funny video would, BUT it can go viral among a certain demographic. The demographic would most likely be your targeted customers where the content matters to their concern. When a knowledge sharing piece gained authority it will surely gain publicity and popularity thus becoming your evergreen viral content. Numbers of backlink is one of the weightage to get your website ranked on Google search page. A marketing campaign content getting viral means getting shared and getting shared means a lot of different websites are linking back to your website. Thus greatly increasing your backlink volume. Although Google would not take each and every one of your backlink into consideration while deciding on your rank, getting more backlinks is better than getting no backlinks. In seo, link building is one of the major concern. Like everything else, getting to a level where you have a significant number of quality backlinks can take a lot of time and effort. A viral marketing campaign can help you gain a burst of backlinks in a short amount of time. If you have managed to craft a marketing campaign that has both went viral but is still considered an evergreen content, your site will be able to get constant fresh links. As in people would link to your site constantly instead of just once when your campaign go viral. Google take fresh link into consideration while ranking. Getting fresh links would give you more advantage to rank on the search page. What makes a piece of content viral worthy? 1. IT HAS TO BE ATTENTION GRABBING. Be it a wacky commercial, sponsoring an extreme sport or let everyone feel like they’re involved on a personal level. Leave an impact on the viewers and be memorable. Make them go “WOW! I need to share this with my friends!”. If they don’t even remember your content, what’s the point? 2. It has to be sharable. More often than not, pictures and videos work better than words alone. They tend to leave a stronger and longer impact on viewers. Coupled up with social media sites such as Facebook or Twitter, the content could be easily shared. Sharable contents let the audience do the work for you. They could share it with their followers thus amplifying your audience outreach. All you need to do is create a piece of viral-worthy content and plan an initial outreach. After that, you can lay back and see the views start rolling in. Because instead of you, the crowd is spreading your content. 3.Next, the piece should contain a message that you want to tell. 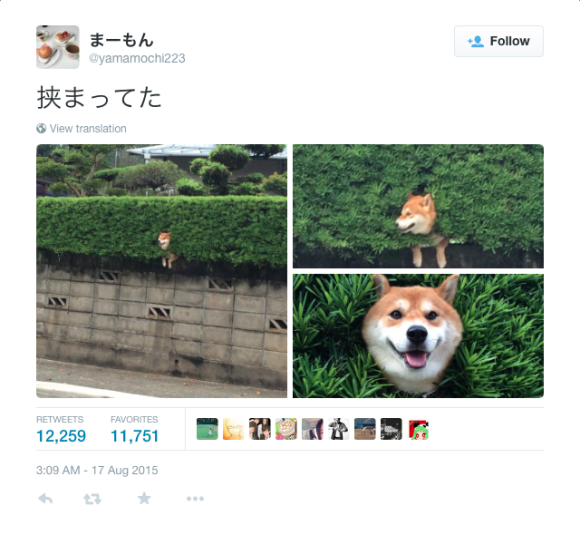 Of course, a picture of a gleeful pup stuck in a bush can go viral, but that won’t do anything to your business. Well, I can argue that the optimistic Shiba Inu is telling us to keep our head up even when you’re stuck, BUT, it still won’t do anything to your business. These are just a handful of the most straightforward reasons that a campaign can go viral. However, they are also the core to creating a viral-worthy content that feeds into your business. Now that you’ve seen some examples, you know why viral marketing strategies are important and you know what can make you go viral, let’s see how to create a marketing campaign for yourself. Keep in mind that what you published would be forever associated with your brand. The tone you set, the characters who appeared, and even the color scheme should be thoroughly considered before it set in stone. Take GoPro as an example, their campaign showcases adventurers setting out to explore the world while recording it all down with a GoPro. Instead of a product, they have been elevated into a lifestyle. Anyone owning a GoPro would be perceived as someone who is adventurous and leads an exciting life. When setting out to a new travel destination you’ll be tempted to buy a GoPro to get that rush of being a REAL adventurer. This is the extent of their campaign and how successful they are at branding their product as a lifestyle. GoPro embracing and promoting as a must-have for every adventurer. 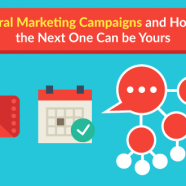 Plan your campaign in accordance with the message your company wants to deliver. Without relevance, your ads are just another picture or another video that doesn’t move the crowd to put their attention on you. Take GoPro again as an example, their product line of action cameras fit in just nicely with their dynamic ads showcasing people going on an adventure. You wouldn’t want to create a viral content just for the sake of going viral. You want the audience to convert into potential customers. That’s why you need to repackage your message in an interesting and eye-catching way. When you have a content, you would want to share it. But where and how? The simple way would to put it up on YouTube or Facebook and pray that people would pick it up. OR, you could do some research beforehand. Look for some influencers who have similar reader demographic as your target. Who are already talking about similar topics, and start writing some emails. You can be professional or you can get a little more personal, that’s your choice. But what you want to accomplish at this point is to reach out to influencers and ask them to share your content with their followers. That would be the first point of amplification. After that, if the content did go viral, views will start rolling up without your active effort. However, you will need to filter out a list of influencers with an audience who overlaps with your targeted customers demographic. You also need to make sure that they have a big enough outreach and a good ranking among others. Some examples of viral marketing campaigns include Dollar Shave Club, The Blair Witch Project and Red Bull Flugtag. The three overlapping reason that pushed their popularity is how those campaigns make the audience feel relatable, it builds up anticipation and also give a good laugh, or evoke a certain emotion. With a viral content in your belt, you can increase your visibility and traffic, have a constant fresh link with a evergreen content and increase your backlink volume. Meanwhile, they’re also attention-grabbing, sharable and give out a message. In order to build a right campaign yourself, you need to keep in mind that a campaign is a part of the campaign. Build an image for your brand, make sure your marketing campaign plan is relevant to your product and choose the appropriate influencer or platform to share your content.